Hi, I’m Cheri from Altered Iris. I was born and raised in the Kansas City area and now reside in Southern Johnson County. My full-time job is as a wife, mother of two and the smooth operator of the Johnson Household. It’s been a long-time dream of mine to have a handmade business. I’ve always enjoyed hands-on creative hobbies and have gotten such fulfillment out of making things for other people. In college I made photo calendars from scratch (before Shutterfly was around) for my parents and grandparents and also enjoyed dabbling in scrapbooking. When my daughter was born in 2006, the dabbling turned into a passion for mixing paper, photos, embellishments and usually my own handwriting to record memories and milestones of my daughter. Over time, my “scrapbooking style” evolved and I began using paint on my layouts and really enjoyed adding this medium to my memory keeping. 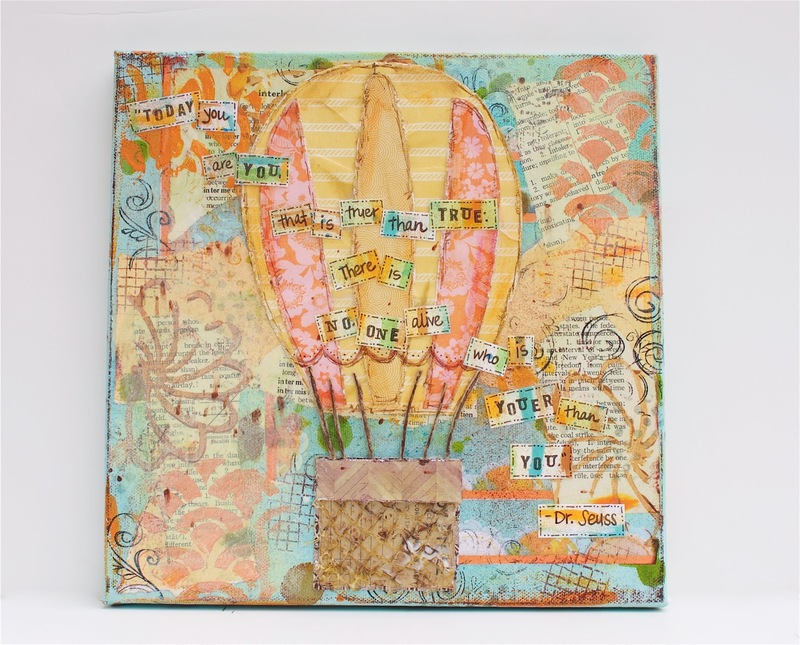 In early 2011, I was introduced to mixed media art, through a tutorial from Christy Tomlinson and learned about new ways to use the supplies I already had on hand. I instantly fell in love with combining these elements in a more artistic way and began playing around with different products and techniques. 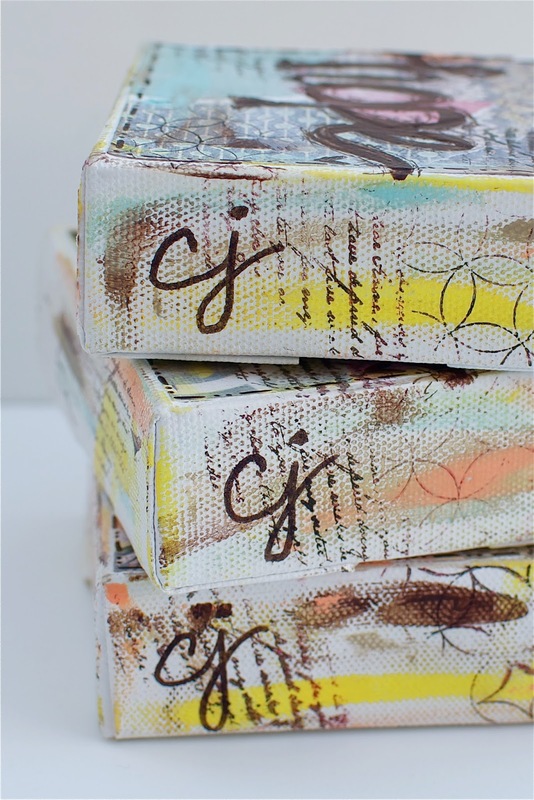 Before long, I realized I had more canvases than I had wall space, and with that, my handmade business was born with the opening of my shop in November of that year. Over the last two years we have moved three times which has made growing my business a bit challenging. I’ve been pre-occupied with packing, unpacking, settling, re-settling, changing schools, meeting new neighbors, saying goodbye to old and everything else that goes along with moving. It’s been quite a ride but I am happy to say we are now settled for the long term and growing my business seems more attainable and exciting to me again. I love creating items a person can have in their home or give to someone else that inspires or encourages them, I’m grateful that God has given me this talent to share with others and I look forward to growing Altered Iris to one day also make a difference in others lives through supporting worthy causes and giving back to the community. I’m excited to be a part of the Handmade in KC community and look forward to connecting and serving with the other members to bring quality handmade goods to our great city and beyond.